Koh Siray has organic gardens thanks to JB Organic Farm. 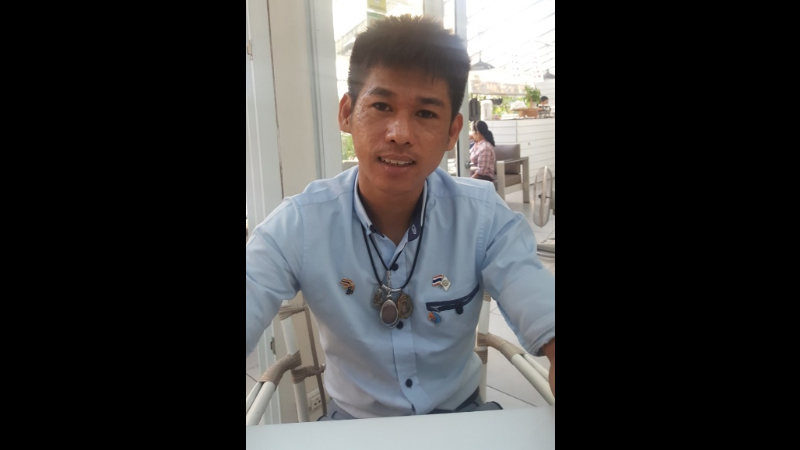 Teerawut Sritulrak, owner of JB Organic Farm. Khun Nuanla-or Rungrotsathonkit, the Director of Koh Siray junior school, and her staff. 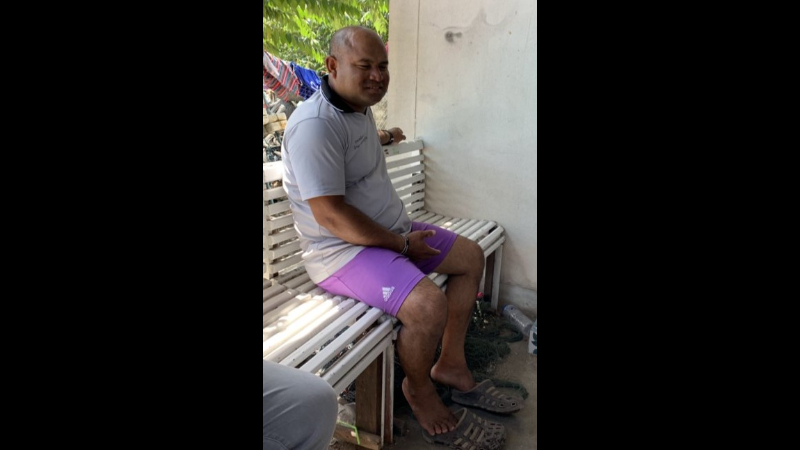 Khun Dont, the Village Chief and President of the Clean-up Committee. Khun Songkran Kongmuang (Jimmie) leads the Asia Pacific Environmental Network. Director of the sea gypsy village kindergarten, Yongtipa Songela. 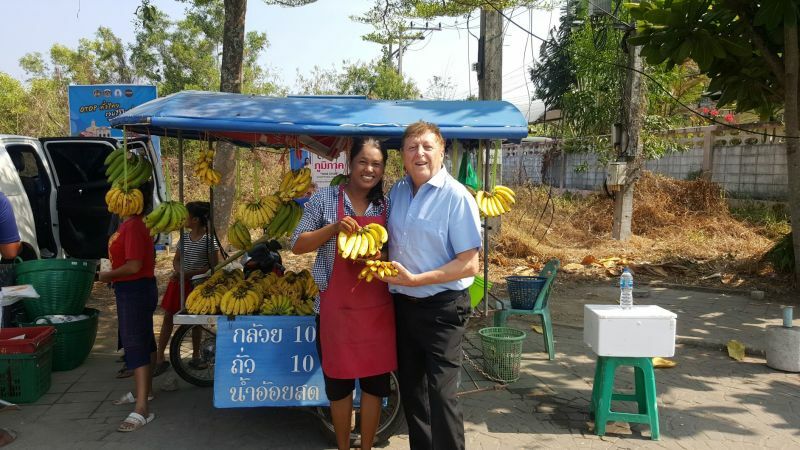 You might stop to purchase a banana to feed the klong’s resident monkeys or continue to check in to a world-class hotel with magnificent views over the bay or to the port to catch a ferry. Koh Siray is well worth a visit. Clambering to the top of the hill, on which sits Wat Koh Siray and its gold Buddha, gives you a magnificent view over a lesser-seen part of the island. However, it’s important to remember that Koh Siray houses 10,000 people, including a village of 1,000 sea gypsies, Myanmar fishing workers and disad­vantaged families. Much of the village has inadequate wastewater and sanitation provisions, making some areas extremely toxic and a health hazard to the community as well as contributing to the plastic and waste which enters the ocean. There are some encouraging signs of change by the actions of local peo­ple and businesses, the interest of concerned community groups and the strong support of the Rassada Deputy Mayor Pawat Supasuwan. In my last article – Trash Talk – I highlighted the many different groups actively contributing to the reduction of waste in Phuket. This week we celebrate the locals leading the way on Koh Siray. Khun Yindee Nokpetch, who sells bananas from a stall by the klong, cleans up the adjacent road with her friends every day which is often strewn with rubbish brought in by the klong. A thankless job, but one that makes the entry to Koh Siray a more pleasant one. 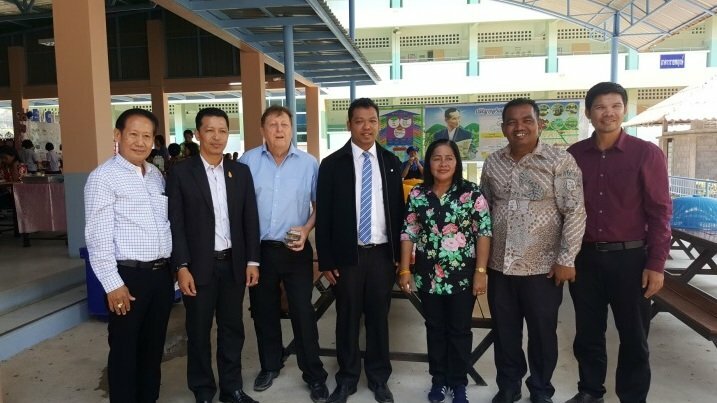 Khun Nuanla-or Rungrotsa­thonkit, the Director of Koh Siray junior school, and her staff have estab­lished a sustainable garden, limited waste separation and introduced a programme of health and hygiene inter­vention (‘wash your hands, clean your teeth’). The director and principals of local schools meet regularly to discuss these issues. 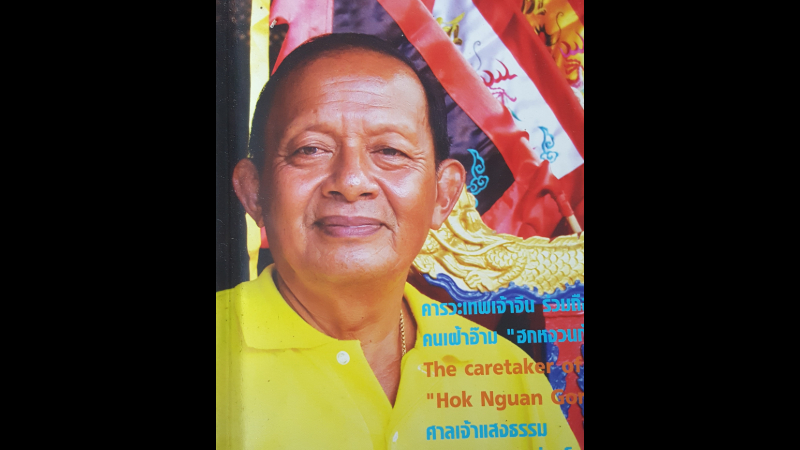 Khun Dont, the Village Chief and President of the Clean-up Committee, sets a fine example by cleaning houses and surrounding areas and encouraging locals to minimise waste. Led by Dr Chaniteen Boonchai of the International College of Arts and Science, 70 students of the Prince of Songkla University recently undertook a review of the issues impacting on waste through a series of face-to-face inter­views with members of the community. The Asia Pacific Environmental Network (APEN), assisted by the Aus­tralian Department of Foreign Affairs and Trade’s Direct Aid Project is now giving assistance to the waste reduction programme on Koh Siray. APEN, led by Khun Songkran Kongmuang (Jimmie), an enthusiastic young Thai, are working with the expe­rienced Khun Thiti, the “Thai wisdom teacher in environmental management” and former general manager of the in­cinerator at Saphan Hin, to establish four sustainable centres within the Koh Siray community. 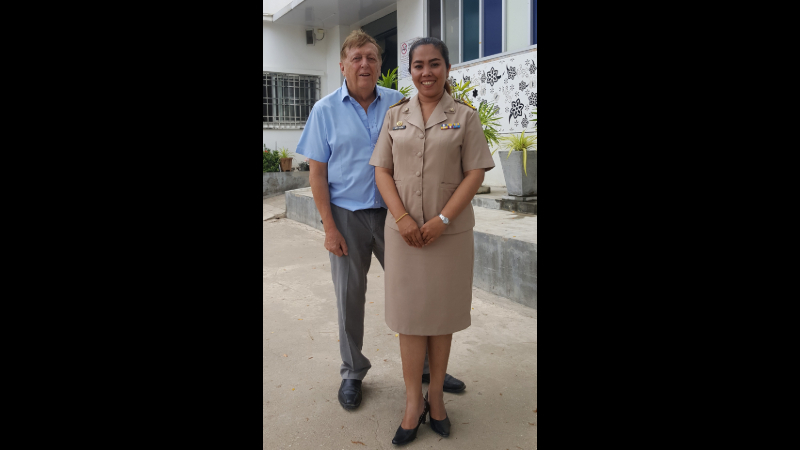 This builds on a project supported by the Lions Club of Patong Beach to im­prove sanitation for the 800 students of Koh Siray School and improve the water supply through the provision of 30 water filters donated by the Rotary Club of Patong Beach. Training in construction, im­plementation and management of decomposition of waste bins has been undertaken by 30 representatives of the four centres. The compost bins have been introduced to the Sunshine Village and the sea gypsy village kindergarten, led by Director Yongtipa Songelay. The organic gardens on Koh Siray, donated by the JB Organic Farm owned by Teerawut Sritulrak, are made up of individual rubber tyres stacked to­gether, filled with soil and compost, into which various local vegetables will grow and be managed by individual members of the school community, with the aim of using this experience to establish an organic garden in their own gardens. 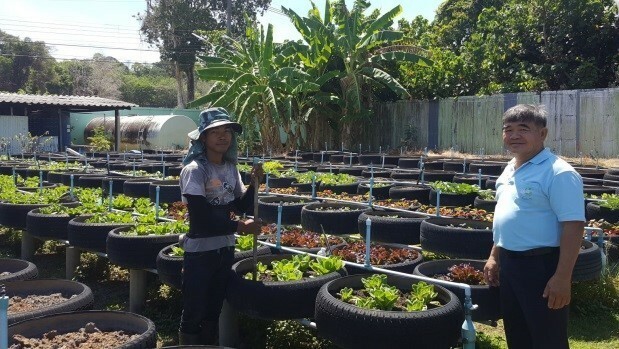 The Koh Siray centres are being established as waste utilisation centres to restore the natural ecosystem, in­troduce composting techniques, build organic gardens, improve water quality and educate children about the issues of waste and disease. It also encourages the local community to earn income through organic gardening and the creation of products made out of plastic and other waste. Initial waste audits have been pre­pared and will provide information on the nature and amount of different forms of waste levels in the centre. From this benchmark, incentives for reduction to zero can be made. Trash and waste throughout the community need to be seen as a health hazard for everybody, particularly the children. The role of the Rassada Dis­trict and education centres groups is vital for change. Fortunately, there are signs of a genuine working together to tackle the high level of waste.